Are your designs overheating? Could thermal simulation help your design process? Would an extra pair of hands help your thermal design? We offer thermal simulation consultancy services across the electronics industry, from LEDs, mobile devices, computer servers to power electronics. 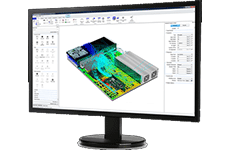 Using 6SigmaET and data from your mCAD and PCB design software we will work with you to create a virtual model of your equipment. This thermal simulation will allow you to visualize airflow and heat transfer to identify the causes of issues, which can be difficult to understand by measurement alone. After this analysis we can suggest and try out modifications to verify the potential improvements. At all stages we work closely with you - providing detailed reports with both numerical data, images, movies and even a free interactive viewer you can use to inspect the detailed 3D model.